Emergency engine/propulsion cut-off devices, sometimes referred to as an engine cut-off switch or kill switch, are a time-proven safety device used to stop the boats engines should the driver unexpectedly fall overboard. 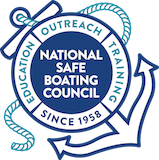 Boaters frequently ask these questions about how an emergency engine/propulsion cut-off switch works. 1. If the water is calm and the boater is driving safely, do they need to wear the engine cutoff switch? Yes, no matter the weather or the operator’s experience an engine cut-off switch should always be worn. 2. Wearing the engine cut-off switch lanyard feels uncomfortable on my wrist. Is there any way to make it more comfortable? 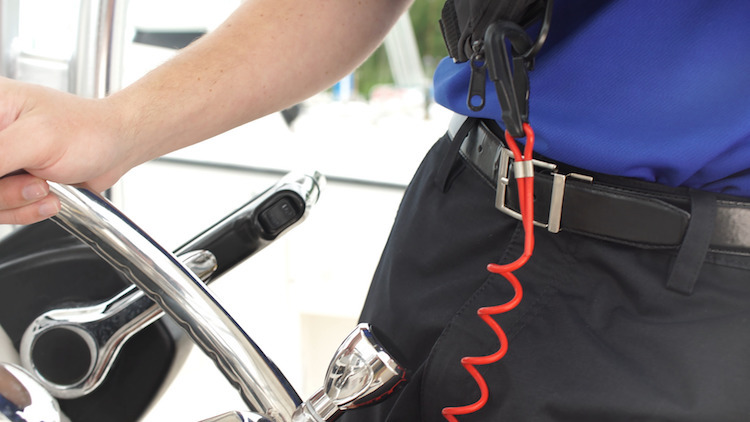 Lanyards can also be securely attached to clothing or life jackets as well as the wrist. 3. Is it true that engine cut-off switches are required to be worn during some professional fishing tournaments? Yes, wearing an engine cut-off switch is required. Watch this video showing two members of the University of Florida Bass Fishing Team being thrown from their boat during a tournament due to a steering part failure. 4. Is the engine cutoff switch lanyard my only option?